Complete with additional conventional ballpoint refill (Gel refill installed in the pen). Just £12.95 inc.VAT. Retractable Gel Pen. 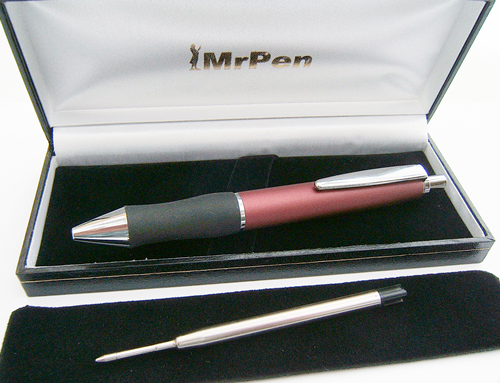 Includes additional standard ballpoint refill. Aluminium barrel in matt gold, with chrome trim. Premium quality Gel Refill fitted. Perfect for Crosswords, wide girth, lightweight barrel. Aluminium barrel in black, with chrome trim. Velvet pouch included (no Gift Case). Aluminium barrel in red, with chrome trim. Aluminium barrel in blue, with chrome trim.